Wales: Llandudno, Aber Falls and Holyhead – Tasting the World – On the road, with stuffed hand luggage and face. Camera in my hand. As I wrote in the previous post, three weeks ago there was a friend visiting us here in Stoke on Trent. After a trip to Peak District on Saturday we set off in the opposite direction on Sunday. 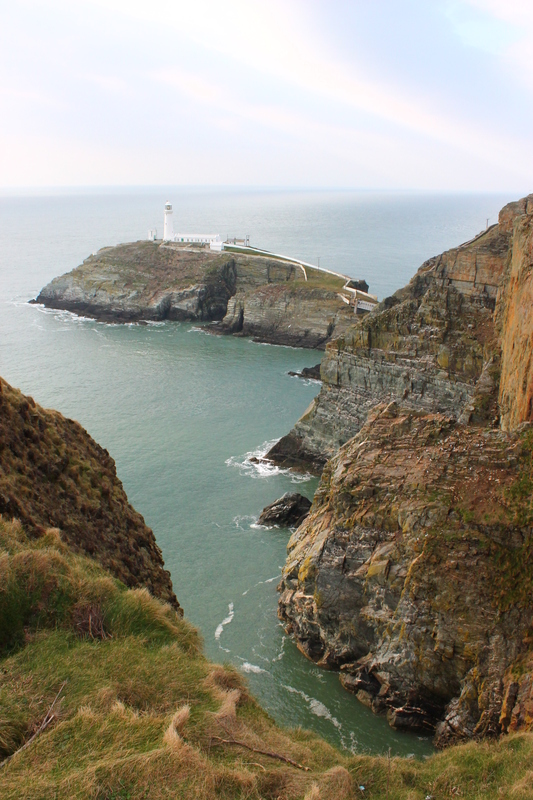 Our destinations were Llandudno, Aber Falls and Holyhead in Wales. When we want to take our friends or family somewhere nice, we usually go to Llandudno. It‘s a beautiful seaside resort with a seafront promenade, a pier, a cable car with great views going to a distant viewpoint, old copper mines… you can spend a whole day or two there and the weather is usually nice there (or at least we were lucky most of the times). If you have enough, you can continue to some other places – on the south there‘s Snowdonia (you can find a post about our previous trip to Llandudno and Snowdonia here), on the west Wales, both with plenty of hiking possibilities. In the area there are also some interesting castles to visit – for example Conwy and Caernafron. This time we spent a while in Llandudno and continued to Aber Falls, cca 20 minutes westwards. There we walked to the waterfall and back. After Aber Falls we drove to Holyhead, the largest town on the isle of Anglesey. We wanted to visit a lighthouse and try our luck with watching bottlenose dolphins. Unfortunately, the lighthouse was closed and we didn‘t see any dolphins, but the weather was pleasant and the views were quite worth it. The clouds there were shaped in stripes and I liked it most when the sun was hiding behind one of these stripes creating nice light, visible rays were touching the sea and creating reflections. 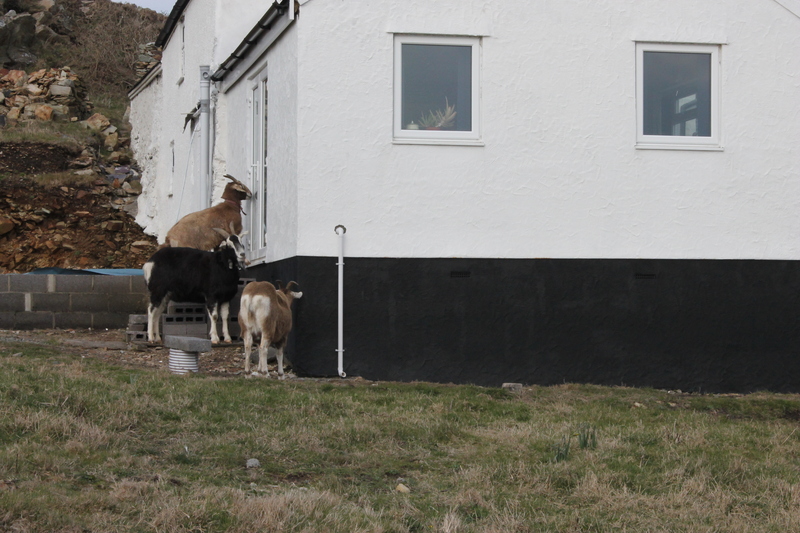 On the way to the car we also saw some goats in a garden of a house. They were standing in the yard and suddenly one of them jumped on the stairs and knocked on the door with its head. That was soon rewarded – the door opened and they got some food. Clever goats! I loved reading about your day out at Llandudno and your pictures are so much fun displayed the way you have displayed them. Pity you couldn’t get something to eat… ain’t that the worst when you’re ready for a nice treat. We have our own special Llandudno in Cape Town. It’s a small village, tucked up inside a mountain valley with a lovely secluded beach at it’s feet. Thank you 🙂 It´s indeed annoying not to have anywhere to eat after a day-long trip. I checked some images of “your” Llandudno and I have to say it looks amazing!